The idea is not mine. I placed an order from moo.com, and when it came it brought a “meeting companions collection”. I’m not a big fan of meetings. That doesn’t mean I don’t value face-to-face, I do, but usually what people do in a meeting can be done without the physical presence of the attendees, or at least without most of them. On the other hand, meetings are one of the most expensive operations within a business. Just sum the cost of all those present at a 2 hour meeting and you’ll get what I’m saying. Nonetheless, sometimes I do find myself in meetings. Oh boy, and now I long for those. One of the games moo.com proposed on their “companion kit” is very simple. You pick a card with several words (like the one in the picture) and during the meeting you check the words as you hear them. And then it’s just like playing bingo. 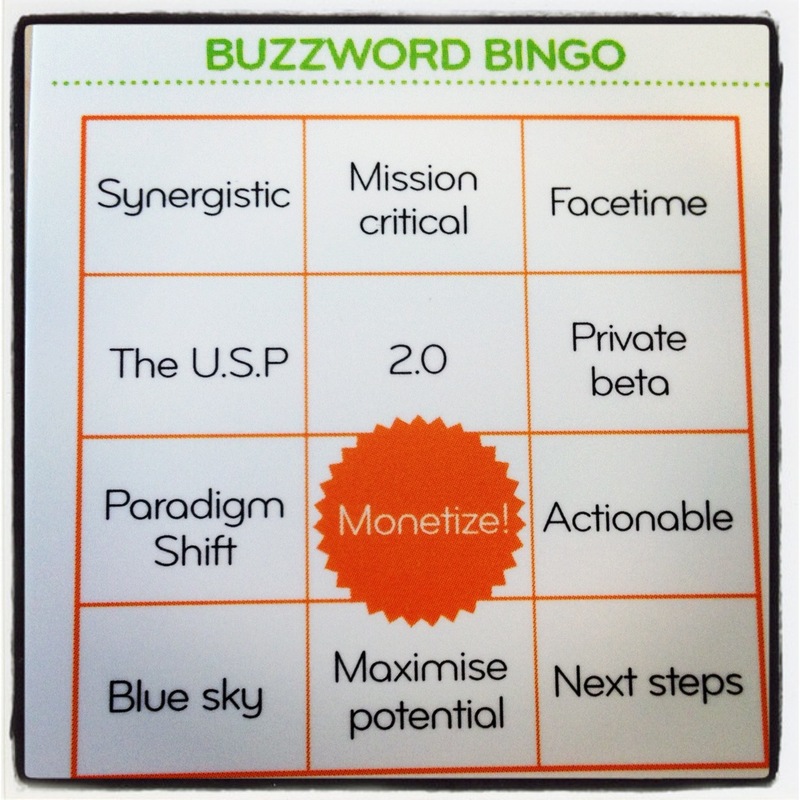 There are even some great variations proposed, like shouting “awesome” when someone says the magic word “monetize”. I’ve loved this game, and I am looking forward for the first time I’ll be able to use it. My guess is, if you’ll attend “new economy” meetings in the next few days, take this card and you’ll love it. Can you please post what the back of the card says? I got this same card & thought it was hilarious! But I can’t find mine & I’ve desparately been trying to find it. Thank you!